Please note that there will be no yoga classes on Good Friday or Easter Monday – see you Tuesday. And… I’m including my new fav recipe – inspired by my Raw Chef Training Weekend with Rene Archner. So easy and delicious (of course! ). 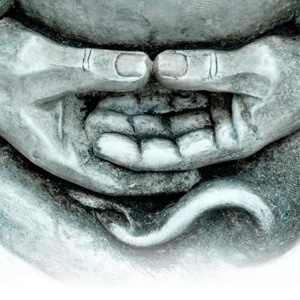 SIMPLY STILLNESS MEDITATION – Jeffree Clarkson keeps us all mellow with his beautiful music. He’ll have CD’s available for purchase and if we have enough people will gladly take you through a free meditation session. Book with me if you are keen and I’ll arrange a time. This recipe has been a big hit at home. I’ll marinate the mushrooms as I chop the salad and mix up my pesto – delish! Marinate the stemmed mushrooms with the above ingredients and allow to sit for 20-60 mins, tossing gently occasionally. In food processor, process all fresh herbs, pine nuts, 1/4 cup olive oil, garlic and salt into a slightly chunky consistency. 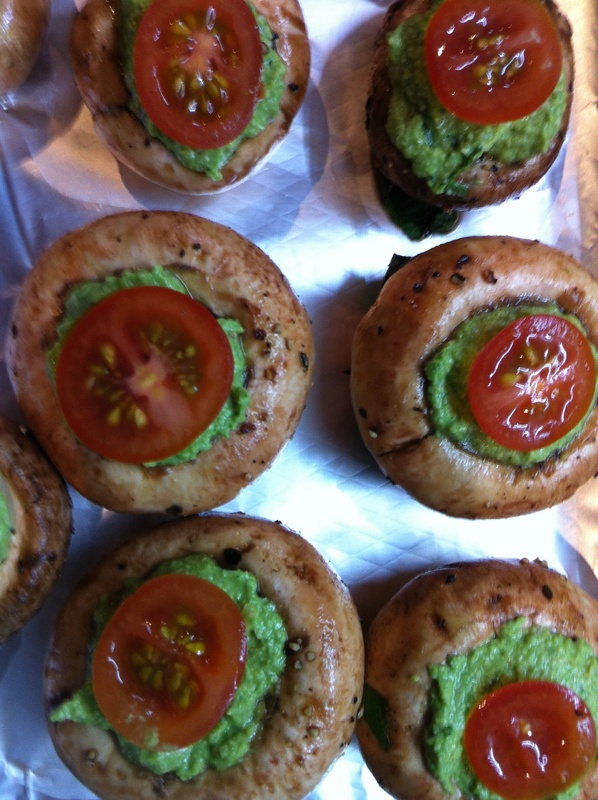 When mushrooms have softened and are marinated, stuff each mushroom with 1/4 tsp of pesto, depending on size. Place a slice on cherry tomato on top to garnish (or so this after warming). Place on dehydrator sheet and dehydrate for 1-2 hours. Or, simply place into a warmed oven to gently heat and then serve.